If you are anything like myself, you’ll love the taste of oily, deep fried, BBQ food varieties. 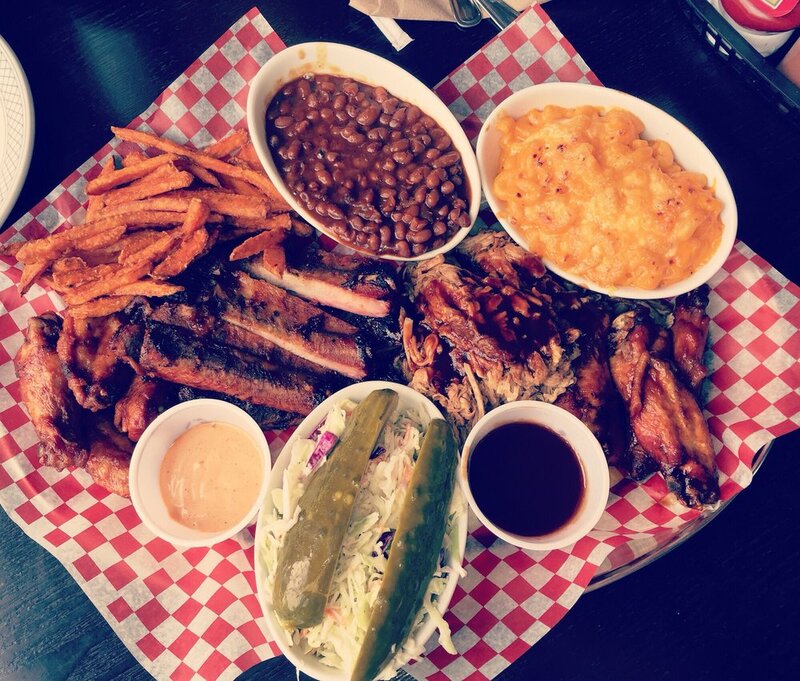 In the heart of downtown Toronto, specifically on Spadina Road, Pig Out BBQ caters to all your BBQ food cravings. I first made my visit to Pig Out with one of my friends, and we shared the Piglet Platter which consisted of 2 Ribs, 4 Wings, Pulled Pork (which is their speciality!) a choice of side (either coleslaw or French Fries) and pickle. This was a great way to indulge in yummy eats and conversation. After my first visit there, I made many more visits to this wonderful establishment, this time focusing on their main specialty, which was their pulled pork sandwiches. One visit with two of my friends from UofT brought me to order the Pulled Pork Sub with French Fries, Coleslaw and Pickle on the side for a lunch break. This dish was absolutely delicious, but had huge portions that I couldn’t finish right away. Fortunate, I was able to pack it, and bring it with me back to campus for later indulgence! Pulled Pork Sub with French Fries , Coleslaw and Pickle! 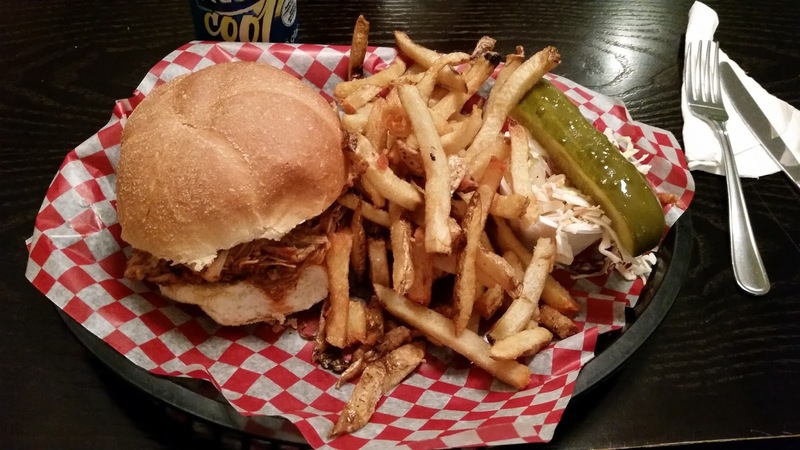 All in all, Pig Out BBQ is a fun, ambient atmosphere where you can take out some of the finest pulled pork in Toronto and devour only the greatest tastes. I recommend this place if you’re close to the University of Toronto’s St. George campus, as it is only steps away from the Athletic Center. In addition, as with many restaurants, it’s great to have the proper company to enjoy your food just a tad bit more!